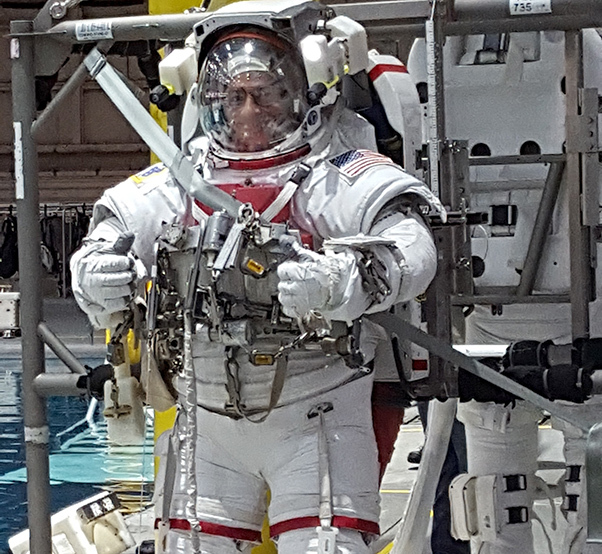 Army astronaut Col. Mark Vande Hei enters the Neutral Buoyancy Lab, Feb. 8, for training at NASA Johnson Space Center. Sending soldiers into space may seem unusual for an Army that conducts a large part of its missions on the ground, but during the next two years NASA’s International Space Station will have at least one active duty or retired Army astronaut on board. Retired Army Col. Tim Kopra launched, Dec. 15, and is scheduled to return, June 5. He will be joined by retired Army Col. Jeff Williams, March 18. 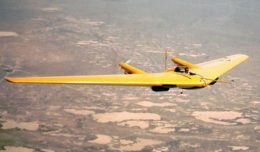 Upon Williams’ return, retired Army Col. Shane Kimbrough is set to launch, Sept. 22, and Col. Mark Vande Hei will be making his rookie flight in March 2017. All but Vande Hei will be commanders during the second half of their six-month missions. All active duty Army astronauts are assigned to the U.S. Army Space and Missile Defense Command/Army Forces Strategic Command’s NASA detachment at the Johnson Space Center in Houston, Texas. The newest class of astronauts includes Lt. Col. Drew Morgan and Maj. Anne McClain. Either could be assigned for ISS expeditions beginning in the next 12 to 18 months. McClain said she really likes how varied astronaut training is from day to day. Morgan said his soldier skills bring something unique to the Astronaut Corps. Morgan said his favorite thing about being an astronaut is being part of a team. He also talked about the importance of the mission. Vande Hei said that one of his favorite aspects of military service is being part of a team and he explained how that carries over to his astronaut mission. As Vande Hei prepares for his launch on a Russian Soyez spacecraft in March 2017 for Expeditions 51 and 52, he said he is looking forward to the experience.